Last week I reviewed the title track and main B-Side to the latest AKB single. Now it’s time to take a look at the other tracks, the individual group ones! Song: This title makes me NERVOUS. Since AKB48’s first song they ever performed was “Party ga Hajimaru yo,” the idea of doing a song talking about the party ending immediately makes me a bit anxious. Still, if this song is indication of the party that’s ending, it’s a party that I’m glad is over. This is not a very good song. I’m hardly a big fan of a lot of slow songs, but I do like a good ballad if there’s emotion to it. This is slow, emotionless, and drags on far longer than it should. The instrumentation is quite nice, and I wish that there could be a more interesting song for this type of instrumental, but there isn’t. I feel like the biggest tragedy here is the intro of the song; it sounds really cool, like it would be an interesting idol song… then nope, you’ve got Party is Over. I even had hope for the song once it changed styles, but then the verse went on too long and with an uninteresting melody. Again, there’s potential in the arrangement and instrumentation, but this song is the definition of dragging. The chorus is better, and hints at a more interesting song, but that’s the one part that goes far too quickly. There’s also an out of place dubstep break which is OK on its own, but baffling here. PV: Despite my feelings about this song, the PV is quite nice. It’s not really a PV based on a story, but it’s well shot and generally fits the tone of the song. The dance shots look great. They aren’t silhouettes but the dark outfits and the light background make a very striking appearance which adds a whole lot to the PV. It’s overall a really nice looking dance shot. I know I’ve railed against flat lighting before here but, H!P, this is how you do flat lighting. It’s used to create a somber mood that fits the song, but it also looks good. It feels like it was intentionally shot this way, to give it that mood. The background does a lot to make it look interesting, too. So I don’t necessarily hate flat lighting techniques, because when it’s done well and with a purpose it can be really nice. It’s just not always used well. The whole PV was shot very nicely in terms of framing. I like the use of the set/props as well as how they never seem to be afraid to use asymmetry in a shot. Too often most PVs center the idol, whereas this one tended to have some interesting shots. There’s only one shot I really thought was particularly poor, and that’s this shot of Kawaei Rina. Because generally putting the chin on the bottom of the frame and the top of the frame right at the top of the head isn’t the best technique. But this shot isn’t used that much (and it’s Kawaei Rina, so I’m inclined to let it slide). The only thing that baffles me is the editing; at some points it feels like they’re just trying to fit in all these shots. There are some weird cuts, it goes a bit too fast for the song at times, and there are occasional fade in/fade out transitions that don’t really make much sense. I tweeted about this which got featured on Idolminded, but I’ll say it again. I am still disappointed that this isn’t a cover of the Pina Colada song. Song: This is another cool, electronic song, which fits my image of SKE48 well, especially since they use to make a dance-heavy PV, which is nice. This is the type of song where, in a different year, I might find interesting and refreshing. However, in a year where both Kamonegix and Mosh & Dive exist, this is not quite as impressive. I like the arrangement with keyboard/piano in there, but for the most part it’s not quite as good as it could be. I feel like it could use more bass or a heavier drum beat in back of the higher pitched stuff. The melody is fine, but a bit basic; in the chorus it mostly rests on one note. It’s not terrible, but it’s not memorable or particularly interesting. PV: Escape feels like a completely different PV to, say, Party is Over. Here the entire focus is on the dance shot. There are very few shots that don’t involve dancing. And it works. The song is tailored to be more of a dance track, and this is what people are generally going to be interested in, so I’m inclined to be OK with it. Overall, the dance shot is shot well and edited well. I do think the lighting is a bit too dark and could use more contrast to avoid being just dark, but it felt like they were going for that with the PV. There are sections where there are more lights, so they do play around with it some, but the lighting doesn’t play up any chiaroscuro/exaggerated shadow type things. Which is a bit disappointing, honestly. The shots with the keyboard were pretty fun, and basically the only thing breaking up the dancing. The time has come again for a crazy senbatsu election. This time I spent the evening/morning hanging out on the Selective Hearing live skype viewing party. I had a lovely time doing that, so thank you to everyone who did that. So I watched, slept, and now when I woke up it’s time to blog. Still, overall, I had a lot of fun. One of the commenters in the chat (I forgot who, sorry!) said this (idols in genera) is a spectator sport and reality TV all in one. Which is quite accurate. This took place in Nissan Stadium, which is normally for athletics, and definitely had the feel of a big sporting event. Even though it started at 3:15 AM my time and got done at around 7 AM, it was a fairly intense experience, and one I’m glad I had. Even though indie groups have taken a lot of my interest recently, these big events will always be really fascinating. For this post I’m using these results from Melos no Michi as reference, as well as cross checking that with last year’s results as seen here on Stage48. So here’s some of my thoughts on this election day. In the chat I was in, a bunch of people were joking “oh Sasshi #1,” liking the idea but doubting very much it would happen. Slowly, as Kashiwagi Yuki and Watanabe Mayu were named, we began to wonder if what started out as a longshot could happen, and we really all started pulling for Sasshi. Sashihara Rino getting the first spot is really major for a couple of reasons. She’s the first girl to get #1 who’s not in AKB48, actually, and she’s also the first girl implicated in a pretty major scandal. Last year, her getting #4 was a bit of a surprise to me, but soon after she had her scandal and was moved to HKT48. This whole election was really encouraging for fans of the sister groups of AKB48, but Sasshi taking #1 was really a big part of it. I also really hope that this will be one step closer to eliminating dating rules, or at least starting to get less strict on scandal punishments. Fans want Sasshi, and they have spoken. At the end, when Sasshi was going around the stadium in a giant float, one of my fellow commentators mentioned that it really didn’t feel like a Sasshi type of thing. Which is fairly true. Sasshi isn’t really a typical idol to get #1 in something like this. When they were discussing what kind of single the next one would be, the word thrown around on stage was a “weird” single, which is something I can look forward to. Move over traditional idols, the weird but imperfect idols are here to stay, and I’m quite excited for it. When Mariko announced she was graduating, I honestly thought it would be the biggest news of the evening (but Sasshi winning beats this). It’s honestly not something I expected, even though Mariko’s the oldest member at 27. Last year, during her election speech, she kept mentioning not losing to the younger members, and I really assumed that that meant that Mariko was here to stay. Even though she’s the oldest, she’s the one I least expected to graduate after Takahashi Minami, mostly because of this stubbornness. All good things must come to an end, though, and Mariko announced she’s ending things on a bang, looking to graduate at the Fukuoka Dome concert in July (since she’s from Fukuoka). With all the members who left this year, and now Mariko leaving this year, the AKB48 senbatsu is looking very very different, and I imagine next year will be even more different. Like I said earlier, the sister groups really shined this year. It was noted in the chat that only 30 members out of the 64 were actually in AKB48; this year, the sister groups’ influences grew. Six girls from HKT48 ranked, even though they’ve only released one single, seven from NMB48 (eight, counting Ichikawa Miori), and seventeen from SKE48 (eighteen if you count Oba Mina). This is a massive showing for what’s the AKB48 election. The biggest news, other than Sasshi, is that five girls that didn’t originate in AKB48, Suda Akari (who I had no idea would rank so high), Matsui Rena, Matsui Jurina, Yamamoto Sayaka and Watanabe Miyuki ranked in senbatsu. In the previous years, it was only the two Matsui girls who ranked in senbatsu, but now they’re in the top 7 (known as kami7), a huge achievement. Above all, the increased rankings of girls not in AKB48 shows that they’re not just the sister group to the popular AKB48, but that they’re really valuable groups in their own right, and have a good deal of their own popularity. Unfortunately, some of the girls who’ve always ranked highly, like Takahashi Minami, Itano Tomomi and Kojima Haruna, got pushed down a bit. But that shows that the sister groups are really able to go far. Personally I’m really happy; I like NMB48 and HKT48 a lot in particular, and while I have three oshimen in the 48 groups I’ve more and more started to consider myself as Watanabe Miyuki oshi, and Oota Aika’s my other main oshimen. There’s a lot of really great stuff going on in the sister groups, and it’s great to see it getting recognition. Earlier it was announced that some of the foreign exchange members were going to be AKB48 members as well. However, Sae decided to take that back, and focus full time on promoting SNH48. I understand in theory why she’s doing it; she really wanted to make SNH a group in their own right, and I imagine she’s really frustrated because of all the roadbloacks that she’s faced in becoming a member of SNH48. However, it doesn’t change the fact that this might not be the best move. My friend Dani, in her first message to me about the election, immediately said that “Sae committed career suicide,” which is pretty apt. The thing is, there’s nothing wrong with wanting to support these foreign groups. Nakagawa Haruka’s focusing completely on JKT48, and seems to be doing well there. However, the politics between Japan and China have been so tense that Sae has been barely able to do anything with SNH48 simply because getting a working visa has been tough. I don’t know if she’s still been able to get one, which means she won’t be able to do much of anything. I know that Sae and Mariya had to watch the first public appearance of SNH48 from the audience, because they couldn’t work. I appreciate Sae’s convictions, but if you can’t get a work visa there’s only so much you can really do. I know it has to be REALLY frustrating, but this is something that Sae really can’t change and is out of her control. I really hope things work out for her, but I’m pretty nervous as well. I keep thinking AKB48 is going to have some giant sales decline, but Sayonara Crawl keeps breaking records left and right (recently outselling Speed’s White Love). And it shows! This year three members got over 100,000 votes. Ichikawa Miori’s votes almost doubled from last year, and she only increased one place. The 16th ranked member in senbatsu, Suda Akari, received 43,252 votes. To put this in perspective, Maeda Atsuko received ~4500 votes when she won the election in 2009. AKB’s popularity has increased a LOT, but it really goes to show that we’re dealing with so many more votes. Even if a girl’s position goes down or stays the same, she could have still had a decent increase in the elections. Just something to keep in mind; so many girls are getting way more votes than they did last year, regardless of their actual ranking. Nacchan didn’t rank highly, but I’m really happy she ranked at all. Since she’s a member who’s graduated, and left because of a scandal of all things, it’s really nice to see her fans gave her so much support. It will be really interesting to see how this works with her in the Future Girls. I know I’m not the only one who wants to bring Nacchan back! My two oshimen are Watanabe Miyuki and Oota Aika. While I wanted Milky to beat Sayanee in the race for NMB48’s top member, I was really happy to see her ranking increase (and her votes more than doubled). The big disappointment of last year was seeing Oota Aika drop so low, and so I was really glad to see her jump up 9 places and get 10000 more votes than last year. I’m really proud of the both of them! So overall, this was an exciting, surprising and really entertaining senbatsu election. All these lineups look pretty interesting, and I’m excited to see what happens next for the 48 groups. I’ve been in a bit of an 48 group rut lately. I love my favorite members still, and I still pay attention, but they’ve had trouble holding my interest. I think this is, in part, due to events out of their control. I found So Long as a single to be lackluster, the announced SKE graduations of my three subsequent oshimen make me want to avoid SKE48 (Yagami Kumi, Ogiso Shiori, Hata Sawako), and while I find a lot of promise in HKT48, Suki Suki Skip didn’t grab me like Hatsukoi Butterfly. But also, AKB is at the point where they are in a bit of a cycle. Every year there’s a Sakura/Graduation single, the summer election single, the election results single, the ‘cool’ single and the Janken single. The three main events are the senbatsu election, the janken tournament and the Request Hour Setlist Best 100 concerts. The most recently added event, the janken tournament, has already been going on for three years. While girls have come and gone, the framework is largely the same. AKB needed something to shake things up. And shake things up it did. There are now new rules for the senbatsu election; while the markers for senbatsu, undergirls, next girls and future girls remains the same as last year, there are new restrictions on membership. Now, to even be a candidate for the senbatsu, every girl has to apply. They have to be a current member of AKB48, SKE48, NMB48 or HKT48, they can be one of the foreign transfer members (Miyazawa Sae, Takajo Aki, Nakagawa Haruka, or Suzuki Mariya), or they can be an OG member who was in a group for over four years. Obviously these are some big changes, and here are some thoughts I’m wondering about. OG Members, Who Will Come Back? Possibly the most exciting of the new rules is the one that former members of AKB48 (and related groups) who were in the groups for four years or more could come back and apply to be a candidate. Obviously, this four year limit really limits the number of girls who could come back (no 8th generation kenkyuusei, for example! ), but it raises a few options. First off, I think the least likely to come back is actually Maeda Atsuko (and Masuda Yuka); Acchan, at least from my perspective, left on her own accord and is trying to make her own way beyond AKB48. Her graduation, after reaching the long term Tokyo Dome goal, felt like a really fitting close, and it really did feel like she wanted to make way for the next generation of AKB members. Same with Masuda Yuka; while she was a big part of the 48 groups, even before her scandal it really felt like she was ready to move on into her own career (missing key AKB events to rehearse for her stage play), and I can’t see her coming back. My personal hopes are for Ohori Megumi and Urano Kazumi specifically, but also any of the members who were transferred to SDN48 and graduated in the mass graduation. Meetan and CinDy are my particular favorites, they were in the 48 groups for a long time (CinDy was an original member! ), and it would be really great to see an SDN48 member participate, even if they don’t necessarily make it very far at all. I’d like to see Hirajima Natsumi, as well, but I’m not sure how many girls who left due to scandal would decide to come back. Who of the Current Members Will Apply? This is very interesting to me; while in the past every member was an automatic candidate, this year the girls have to be proactive and opt into the senbatsu election. One question I’ve seen pop up is “who wouldn’t go into the election?” which is a tough question. Senbatsu results have long been a marker of a member’s popularity, and it’s hard to see any member decide to not go for it. I can possibly see some members not really bothering, if their likelihood of not getting in is slim (such as most of HKT48’s kenkyuusei), but there aren’t any risks in giving it a shot. So it’ll be interesting when the candidate list comes out, to see if any prominent members decide to step down for this single (though it feels unlikely). One theory I saw on a comment on Tokyohive (and a good one) is that part of the reason for allowing former members with a long tenure in is to allow Miichan the opportunity to participate, and that this year it actually restricts against kenkyuusei from taking part. This is all a theory, but is based on some slightly ambiguous wording. The first rule is actually written so that it’s an “AKB48, SKE48, NMB48, HKT48 enrolled member.” Does this exclude Kenkyuusei, who are technically not full members of the 48 groups (Miichan, who was in AKB48 for longer than that four years, could thus join)? This is something that I hope will be clarified, because if so it would be an interesting move , focusing on the full members. Kenkyuusei rarely make it very far (notably last year, at the time kenkyuusei Muto Tomu was the center for the future girls unit), so it’s probably not going to matter. The only girl I could reasonably see affected by this would be HKT48 kenkyuusei Tashima Meru, who’s quickly become HKT48’s center and most likely continued ace of the group. Back during the big team/group shuffle, I mentioned that the 48 groups seemed to be giving a bigger focus on the international groups, JKT48 and SNH48, by sending over four members. Which is true. However, allowing these four back in brings up the question: why aren’t foreign group members allowed in the election. My first thought is practicality, because they’d have to come and promote the singles, but JKT48 has come to Japan before, and that same thing would have to happen if Miyazawa Sae, Takajo Aki, Suzuki Mariya or Nakagawa Haruka choose to apply. So despite their emphasis on promoting JKT48 and SNH48, these groups feel like they’re secondary to the Japanese groups. I have no idea how well JKT48 and SNH48 have been doing, financially (I’m not as aware of the systems in place for gauging that as I am with Japan) but this move seems to imply that JKT48 and SNH48 are not quite equal with their Japanese groups, which makes me wonder if they’re not doing quite so well. In any case, I think when the candidate list comes out it will be interesting to see what happens with this unique senbatsu election. Last week I read the very well done article on Pure Idol Heart about being an idol fan and picking a favorites. If you have yet to read what Paul wrote, look here. It’s well worth a read if you’re at all interested in thinking about the nature of being an idol fan. Personally, I agree with what Paul writes, in theory at least. I think you should like who you like, despite the predominant idea in idol culture that you should pick an oshimen. Being a DD, someone who likes everyone, is all fine and good, I think. However, I consider myself to be an MD (Minna Daisuki) which means that while I like pretty much every idol in groups I like, that I support one as my oshimen. However, one reason I pick an oshimen, and this is a bit of a confession to make: I have a hard time following/supporting idol groups without a firm favorite member. I’m not quite sure why this is the case, but there are some idol groups where I can get behind them as groups, but since there isn’t an idol that stands out to me that much as an individual I just can’t have that group be one of my favorites. This was a problem for me with SKE48, for a while; I had an oshimen in the group I was a fan of, Yagami Kumi (who, for the record, I think is super fantastic), but since she wasn’t at the level of my other 48 oshimen SKE48 became the 48 group I followed least, even though I think they’ve put out really great stuff. However, now that Kuumin is leaving SKE48, I expanded my horizons, and after a couple of missteps (mainly becoming a fan of Ogiso Shiori… who then announced her graduation), I’ve become quite a fan of SKE’s Hata Sawako. So we’ll see if Shawako is enough to make me follow more of SKE48. This also came into play with Morning Musume. While I have a blog post planned about my on and off again relationship with Hello!Project and Morning Musume in particular, in short I’ve thought about completely quitting Hello!Project for some time now. However, recently my interest in Ishida Ayumi has grown to the point where she’s one of my top current idols. I’m now actively supporting Morning Musume (through merch purchases, mostly; I bought Ayumi’s birthday shirt), and this is entirely because of one girl and the fact I think she’s amazing. I also think that having an oshimen is helpful in larger groups that have a lot of merch. While Momoiro Clover Z, for example, is really great about having merchandise for Hako Oshi (MomoClo fans who support the whole group), not every group may have that, and it might be easier (and financially more viable) to support one member. For example, for a while I supported the second generation of S/Mileage as a unified whole, and while those are still four of my top five current Hello!Project members (2-5, Ishida Ayumi being #1). However, this made me resistant to getting merchandise because four girls is kind of a lot on my college student budget. However, once I decided on being a Meimi fan, I felt more able to get merch. That being said, while having a specific oshimen is important to me liking an idol group, I think the “Minna” part of my Minna Daisuki thing is important, as well. Occasionally I see people who only like one girl and one girl only, disliking almost everyone else. While that’s your choice, it still feels like that would make liking that idol group frustrating and flat out not fun, especially if you’re not a fan of the group. One thing of note, however, is I think that the oshimen dynamic changes depending on what group you’re supporting. If you’re an AKB48 fan or a fan of those groups, so much rides on the senbatsu election and the Request Hour Setlist Best 100 election, so that not choosing an oshimen would pretty much disqualify you from this part of the AKB48 fandom. Larger groups or popular groups, where there are elections or rivalries within the groups, it’s hard to not have an oshimen because they encourage you to support your particular member of choice. On the other hand, I feel it’s a lot less vital for smaller, indie groups (like the ones mentioned in the Pure Idol Heart article), and that it’s honestly less important to focus on one girl in particular. The biggest factor, though, is the word of “support,” whether that means one particular girl or your favorite group. Ultimately, though, it is your choice, and regardless of what other people feel you should enjoy idols however you want to. Because really, idols are meant for fun. There’s no Ban on Love Songs! Happy Valentine’s Day, Happy Disco readers! Whether you’re single or in a relationship, I hope you’re having a nice day. Even though love is a common theme in many idol songs, here are some ones that I find outstanding, and fitting of the day. If you don’t listen to this every Valentine’s Day (either original version or Watarirouka Hashiritai 7 version), I don’t know where your priorities are. Seriously, this is THE quintessential Valentine’s song of idol music. It’s hard to say much more, because it’s pretty clear. I’m personally fond of the Warota version (understandably so, given the fact that I’m very fond of Oota Aika and Iwasa Misaki), but this song is just a classic song about Valentine’s Day. Another song that’s completely about Valentine’s; in Japan, chocolate is really the only gift given on Valentine’s, and it’s given only from girls to boys (who reciprocate on March 14th, White Day). I am super fond of Ayaya, and while this isn’t my favorite song by hers, it was a late single released right before the Elder Club graduation as a gift to her fans. Ayaya’s voice is beautiful as always, and it’s a beautiful song for Valentine’s. I debated on whether to include this in my list, because the lyrics are a bit suspect. However, it’s one idol song that’s very directly about Valentine’s Day. The title literally means “A slave to chocolate” and it directly deals with the custom of giving chocolate as a way of confessing your love. It’s direct, but “A slave to chocolate” sounds kind of suspect, like SKE48 are forced to work in the chocolate factory (Gasp, so is Watarirouka Hashiritai 7!). However, I do get the meaning, and there’s no doubt as to the meaning. One of the things that really sets Momoiro Clover apart as an idol group is that they don’t really focus on romance quite as much as other idol groups do. It honestly makes a lot of their music refreshing to hear; even songs that have love in the title aren’t really about confessing love to a boyfriend or anything, but feel more like large, grand declarations. However, MomoClo does have a few romantic songs, and my personal favorite is Hashire. The first lyric “I can’t stop smiling, my dancing heart isn’t stopping, I’m moving to you, Run! Run! Run!” is honestly one of my favorite idol lyrics. Even despite the lyrics, however, the whole song has a feel of a genuine expression of feelings. It’s a very sweet song, which makes it one of my favorites. Speaking of sweet, genuine feelings! Hyadain’s first two singles he did are duets, and they’re both fantastic; however, the first one is the romantic one. Even though it’s a duet with himself (yes, the female voice here is actually Hyadain, but with pitch changes), this is a really cute song about first love ,suddenly falling for someone, and realizing your feelings. In my opinion, the duet aspect really adds to the song, in a way I don’t normally hear as an idol fan. It’s one of Hyadain’s best, and given the fact I consider him to be the next big idol composer, that’s saying a lot. OK, I love Ayaya. But there were honestly too many songs I wanted to put on this list that weren’t hers. Do I go cute, happy earlier route and go with Momoiro Kataomoi? Or do I go with the later, serious route with stuff like Only One (from her most recent album, Click You Link Me). I honestly love both super idol Ayaya and more serious singer Matsuura Aya, so it was tough to pick. So, I went in between with something from what was kind of the transitional phase. The one thing that kind of amuses me about this is that this song was primarily used for iced tea ads, but yet it’s one of the most sweet, genuine love songs from Hello!Project. The lyrics are about realizing that the perfect person for you has been by your side all along (a trope I’m absolutely a sucker for), and the song itself (both Ayaya’s great vocals and the instrumental) fits the theme perfectly. Another classic! Not much to say about this, other than it’s one of Japan’s classic love songs. Matsuda Seiko is one of the most famous idols of all time in Japan, and this is one of her most famous songs, and for good reason. One of the things that I’ve found completely interesting with my idol fandom is how interested in music videos as a form I’ve become. As a fan of indie/alternative rock, I’ve honestly not paid much attention to it. If you asked me what my favorite non-idol/JPop PV was before I became an idol fan, I’m not sure I could tell you; probably Myriad Harbour by The New Pornographers (If you think idol PVs are weird, this might beat them out). Still, that’s really because music videos aren’t really used that much in the US. Sure they’re viewed on YouTube and people rush to see the newest Lady Gaga music vid, but it’s not as heavily monetized and people just don’t care quite as much, as a whole. However, at least for idols PVs are part of the package that gets sold (on singles/albums), and are considerably more important, especially since idols focus a lot more on image than bands do. 2012 had some excellent PVs, which I’m ranking here (I’ll talk about some of the stinkers later). Manatsu no Sounds Good – AKB48: I wanted to love this PV; the effects are great, it looks fantastic, and I like the tone. However, there was just too big of a disconnect between the dance shot and the main story. I don’t mind a tonal shift, or even that it didn’t make much sense, but I wish that it felt more cohesive; even editing some of the story among the dancing would have helped. The elements were there, but in my opinion it’s not as effective as it could have been. UZA – AKB48: It looks incredible, but there wasn’t really enough to interest me in multiple viewings. It’s essentially a prettied up dance shot + close ups. And this isn’t a dig at it; it’s one of the best looking PVs of the year. But it’s not quite as ambitious as I would have liked. While I don’t need a story with my PVs, I do need something to keep my interest, and UZA didn’t have it. Cha Cha Sing (flashmob version) – Berryz Koubou: It’s kind of sad when the best lit H!P PV of the year was done in a public area. This was a fun, interesting idea that I liked a lot, but can’t really justify to put on my top list. Kimi wa Jitensha Watashi wa Densha de Kitaku (Maimi version) – C-ute: Similarly, I don’t feel I can really put a solo version of a PV on a list, and the normal one didn’t quite grab me. But I really liked the longer Maimi PV, where she’s basically dancing by herself after a breakup. 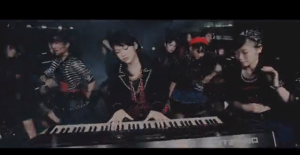 It’s really sweet, and made me want more drama PVs from H!P. I know the “running on the street and people start following” PV was done by Mano Erina, and done very well there, but Parade did it earlier and IMO is a lot more fun. Nacchan is at her best here with a fun, well-made PV that spoofs karaoke videos and bad monster movies. There’s some visual effects, but they don’t get in the way of a really fun time. All the extras in the PV do great, and it really is Natsuko’s best PV of the year. Nogizaka46 Guru Guru Curtain PV from Japanverse on Vimeo. OK yes I’m going there. This is my controversial choice of the list, and I’m sticking by it. Lots of people thought this was a boring PV, and it might not be the most interesting PV by any means (which is why it’s so low on here). However, it is a very well-made PV that is just beautifully shot. I really love the juxtaposition of the black and white classroom and the colorful dance shot. The contrast in the black and white scenes is really lovely and the close up shots look fantastic. It might not be the most interesting PV of the year, but it’s one of the most well made and is just beautiful, which is why I personally thought it was fantastic. Hyadain’s one of the most charismatic figures in modern JPop; while he’s made a name for himself in writing a lot of fantastic JPop music, often I find myself liking his solo stuff more. 20112012 was one of my favorite songs of the year, and the PV is very well served by Hyadain’s natural charisma. Hyadain’s a lot of fun here, and his energy is contagious. Aided by the dancer TAKAHIRO, Hyadain goes through a busy schedule, what I assume is very loosely based off of its own. It primarily takes place in a fictionalized apartment, and it’s just a lot of fun, mostly because of Hyadain’s charisma and energy. He’s just fun to watch (and Hyadain waking up is way more adorable than it should be). I especially like the various places he dances with TAKAHIRO, and the changes in rooms to the house. It’s creative and fun. [vietsub+kara] Synchro tokimeki – Watanabe Mayu from jackybin01b on Vimeo. Mayuyu kicked off her solo career with a bang this year. While I didn’t rank any of her songs on my top songs list (they just didn’t impress me that much, and Mayuyu’s voice isn’t my favorite), her PVs have been excellent. The thing that I loved about Synchro Tokimeki is that it combines something of Mayuyu’s (her manga drawing) to be personal to her. Adding some great costumes and the whole standard “warrior saving a beautiful woman” storyline is pretty cute. It’s a very beautiful PV, as well, and I especially like the color balance in the storylines, with somewhat muted colors and gold in contrast to Mayuyu as an artist with bright colors everywhere. 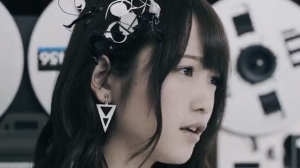 This is a really well-made PV and is a lot fun to watch, even though I don’t follow Mayuyu very muuch. I love this PV so much; I think that using “France” as a backdrop is a great idea, the set’s beautiful, and I love the cute concept of Jurina having to help the people turn from black and white to color (very similar to the plot of the underrated film Pleasantville). I really also like the choice of making the colors kind of muted instead of bright; it has a very unique aesthetic. It’s not perfect (I have an issue with some of the editing in the PV), but purely on the aesthetic choices of the costumes, the colors and the sets, it was one of my most memorable PVs of 2012. OK, I have to admit that there’s a bit of a bias in putting Team Syachihoko on any list, since they’re currently my favorite idol group. However, that favoritism’s for a reason, and this is what kicked it off. This is Team Syachihoko’s debut PV, and while it’s clearly made for not a lot of money and is kind of a cheaper PV, it’s just fun. The most notable and memorable parts are the grown men in sunglasses in bowling pins. It’s weird, but really what did you expect from Stardust (Momoiro Clover Z’s company) idols? Some found this a bit creepy, and it kind of is, but I liked the “story” of the girls fighting off the bowling pins; any other idol group would have had the girls go bowling for the PV, but this is a step up. In addition it’s edited well (Kind of interesting that they only add in dancing near the end), and the girls themselves are energetic and incredibly fun to watch (my bias is towards Yuzuki, the one in purple, but seriously all these girls are great). It just made me want to follow Team Syachihoko and anticipate their releases, which is a great thing for a debut PV. This is just a great looking PV. I really like the dark look they have going on and the muted colors. However, where this PV shines is just how the girls look. Whoever made this PV wasn’t afraid to make the girls look dirty, bloody and absolutely ruthless in beating each other up. This PV wins because it’s probably the grittiest idol PV I’ve seen. The triangle set is pretty interesting (allowing for good fights between three members at a time as well as an interesting dance shot set up). This simultaneously has some of the best lighting in a PV I’ve seen (which is an issue for a lot of groups) as well as being really daring as a PV. It’s a very interesting PV and one of my most watched ones of the year. 2012 was the year Babymetal really came into their own. While Doki Doki Morning was all fine and good, Ii ne and Headbanger really set Babymetal apart with their sound, and it’s looking like 2013 is off to a great start with Ijime Dame Zettai. Headbanger was a really excellent PV, though. The black, white and red aesthetic, while perhaps stereotypical, looks really great in the dance/close ups. Seeing the transformation of Suzuka from school girl to metal singer due to the magical neck brace (yes, a thing that happens in this PV) is very entertaining, and the rapid pace editing (especially at the point when Suzuka first starts her headbanging) is excellent. I especially like the lighting choices in the dance shot bits. It’s not the most elaborate PV in the world, but all the elements really came together to make an excellent PV for Babymetal, and Babymetal’s best PV yet (though Ijime, Dame, Zettai has since been a better PV). I admit, the first time I saw this PV I didn’t really see what all the fuss was about. I think the song’s alright, but it’s not my type of song. 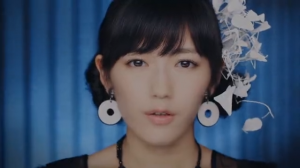 And I really wasn’t into the opening bits with seeing Mayuyu on Youtube/NicoNico and just performing. However, once you’re past the first chorus, you get a really well done PV with Mayu as a cyborg. This is when the YouTube/NicoNico comes into play well, as you see the fan backlash at Mayu being “fake.” This is kind of brilliant in how it plays off Mayu’s existing cyborg persona (I can’t see another idol pulling this off like Mayu did). There’s cool parts when Mayu is animated, and other parts where you see real Mayuyu with pieces of her missing (an error with Mayu’s CG). It also pretty brilliantly uses pieces from Mayu’s past two solo PVs, and the combination of animation, CG and Mayu mix together extremely well and feel cohesive despite having these various elements. Momoiro Clover Z really had a great release this year with their first one, and while I ranked DNA Kyoushikyoku over Mugen no Ai in my song rankings, one of the initial things that really blew me away was the Mugen no Ai PV. While I usually am not a fan of PVs that rely too heavily on green screened graphics, Momoiro Clover Z did it perfectly here. The space setting works perfectly, and I love the very stylized graphics when Momoiro Clover Z are on their bikes. The lighting feels a bit too strong, but they really make it work here. The costumes are also some of the best of the year, with clear thought made to the quality of the garments. Momoiro Clover Z is also one of the most energetic and exciting idol groups out there right now, so the girls themselves do a lot to make the PV really click. Like I mentioned, I’m not usually the biggest fan of too much computer graphics in my PVs, but this really did a great job of proving that you can have a green screen heavy PV while maintaining great quality. It hurts to put this so low, and I wish I could put this at number one. The top two PVs of the year were completely obvious to me in their excellence, and Kataomoi Finally really was on another level. All the elements really came together to create a fantastic PV. The story components are really fantastic, and are one of the few times that a lesbian relationship in a PV was really done in a tasteful and classy way, not trying to appeal to the male gaze. I honestly really admired SKE48’s willingness to do this PV, as it’s possibly more daring than any other 48 group PV (with the exception of Keibetsu Shiteita Aijou and Seifuku ga Jama wo Suru). The choreography, which I named my top choreography of 2012, really plays well into the the song, and really works well with the editing. Honestly, every single element, from the lighting to the editing to the cinematography really works and is done perfectly. SKE48 has been putting out a lot of quality stuff, but man it’ll be hard to beat Kataomoi Finally. Like I said, there was definitely a struggle between Kataomoi Finally and Gingham Check. However, Gingham Check won just because of the fact I like it so much. I love the clever look at film genres and their trailers, looking at cop movies, horror movies and giant monster movies and exploring romance within those boundaries. It also helps that Joseph Kahn had a really good visual style within the whole thing, almost exaggerated within their respective genres (lens flares and shining lights in the cop movie, a muted color tone that feels straight from the 50s-60s in the monster movie, and a dark feel with the horror movie). Various shots are vary reminiscent of certain movies (Godzilla and the Ring come to mind), but in addition to all this it’s just a lot of fun, it’s edited well, filmed well, and is done incredibly well, which made it my favorite PV of 2012. People who read my blog (I love you!!) I have some news. This is my 100th post on Happy Disco. Yaay!! 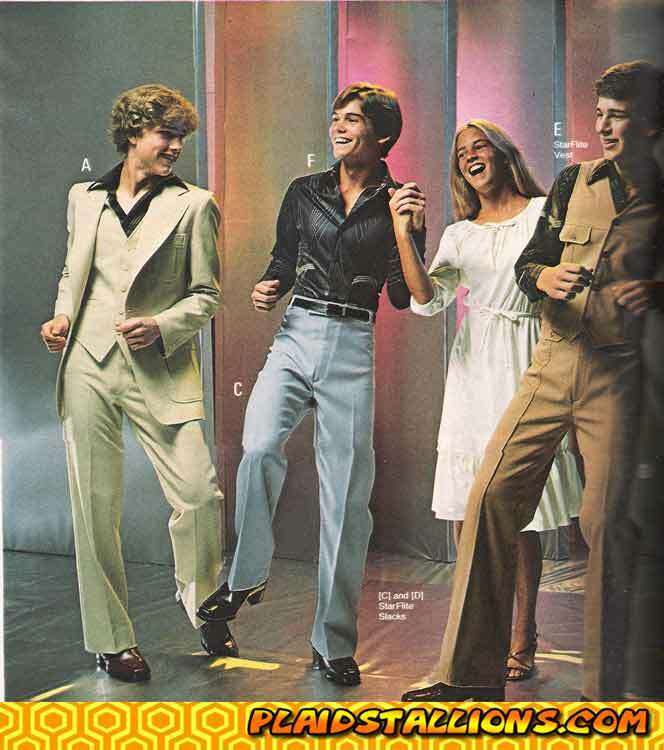 This is the first image you get if you search Happy Disco on Google Images. My infatuation with idol music isn’t going away anytime soon! Usually when I start up projects/blogs like this I get bored quickly and stoop doing it, but I really do enjoy what I do here on Happy Disco. First up: If you guys read this and have read my blog before, what types of posts do you like? Would you prefer more straight up reviews, more lists, more rambles about the nature of idol pop? I’m just curious to see what people would want to read from me. Secondly: I’m still continuing my 30 Day Idol Challenge and Tokyo Idol Festival series’, but I’m thinking that since the 30 Day Idol Challenge will end soon that I will start a new regular segment. What do you guys think I should do? Reader feedback yay. And since I want to make this a fun 100th post, in honor of my long posts here on Happy Disco I’m going to do a list of my top 10 idol PVs. (in no particular order). Note: This list is largely personal, and I’m also betting that in a day or two I’ll find a PV that will make me wish I included it in this list. Also it’s only idols, nothing else. SKE48- 1! 2! 3! 4! Yoroshiku! I feel like, if anything, this PV is proof that you don’t necessarily need to have a story to make an interesting PV. This is in my opinion a perfect idol PV. It’s shot well, edited interestingly, and even when they’re focusing on things like the dance shot, it’s not shot at some unmoving flat angle, but moves around and really makes it interesting. This is the first of SKE48’s “Let’s hire the entirety of Aichi prefecture to be in our PVs”, and while I really like Banzai Venus, I think that the extras had a better role here. They really do a lot to add to the excitement and really keep the energy up high. Finally, the PV really plays to the strengths of the girls which is always something that a good idol PV should do. This one plays to the fact that SKE48 has really strong dancers by having the dance-off scene as well as focusing a lot on the dance shot, since they have an interesting dance. This PV is just a joy to watch, and I absolutely love it. In my opinion, this is the forgotten v-u-den PV; the one that no one really knows or thinks about. However, it’s one of my favorite PVs of all time. Again, there’s no story except Rika, Erika and Yui all have to look sad. However, the scenery and set pieces in the PV are absolutely gorgeous. I’m not very knowledgeable about cameras, lightings and settings for those things, but I’m curious about what they did with the color with some of this. I think they might have changed something? But the colors do seem warmer some places and cooler in the dance shot, and whatever it is it looks cool. The part that just wows me and that I love about this PV is all the playing around with mirrors. In addition to being great set pieces (the cracked mirrors near Erika are particularly stunning), the way that shots play around with them is amazing. I’m particularly fond of whenever they look into the mirror so that it looks directly at the camera. Also, from what I know of filming, I know that mirrors have their own set of issues, since they tend to reflect things which often can include the people filming the thing. When the PV director inevitably went “alright, this PV will center around MIRRORS” they were obviously taking a bit of a chance, but it totally paid off. I’m so happy that AKB48 released this PV on DVD so I didn’t have to use the low quality PV obviously filmed by a phone that I first saw this PV from. This PV is very well known among current idol fans as the one that got banned, that AKB wasn’t allowed to air on TV so they had scramble and come up with their PV that got on the DVDs and could be aired places, a mix of the dance shot and the making of. However, the original PV is now in high quality thanks to new DVDs and it totally deserves the praise it’s given. It has a really interesting Matrix-like story of the girls being plugged into games and banding together to stand up and stop fighting each other but fight the system, the machine they’re in. The moment when Acchan finishes screaming, tears away from her old arm and evolves to be able to fight the system just sends shivers up my spine, as well as the moment when Yuko hugs Takamina so Jurina can pull the plug. This is a PV where I desperately want more, so I can know a back story. And that’s why it’s up there among my top ten PVs. This is definitely a bit of a personal choice for me, but a year and 9 months or so later (wow, it does NOT feel like that long ago) I STILL love this PV and watch it on a regular basis. This is another one with amazing sets, good design, and it’s really edited interestingly. However, in my opinion the biggest strength is the performance of Yossy and Rika. Like I said in my Reconquista review, one of the biggest strengths with Hangry & Angry is that Yossy and Rika have been active idols for over 10 years now, even though they were probably the most famous back at the start of their careers. They both have a LOT of experience and as such always give really fantastic performances live and in PVs, and this really reflects that. The way that the two of them act in the PV, interact with each other and the camera, it really speaks wonders of their experience. So while the PV is made very well, Rika and Yossy are really the stars of the PV, as they should be. However, despite the experience of Rika and Yossy lending well to their performances, the girls of Team PB do really well. So well that, after I saw this vid, for a while I decided that I was a “Team PB oshi” and that I would support all the Team PB girls forever. That’s not so true right now (though I do love all the girls in Team PB), as I’d probably, if anything, would classify myself as a Watarirouka Hashiritai wota. HOWEVER, the point still stands that all the girls are outstanding in the PV. It solidified my bias towards Oota Aika and it definitely moved Maeda Ami and Miyazaki Miho up further in my ranks. Myao in particular. She basically nailed this PV. The one thing that eluded me for a long time, though, is WHY I thought Enkyori Poster was so brilliant. It’s fun to watch because the girls all look like they’re having a blast and they all do very well with their energy. But why is this PV considered one of my top 10, with such simple backgrounds and props? Those words are really particularly meaningful to me and a lot of idol fans; who hasn’t gone through a rough patch at school or work, and come home and just watch things with idols to self-medicate? I know that when I’m feeling down and when I feel like I can’t do anything, what I really do is watch something with Rika, Lovetan, Wasamin or one of my other favorites and just imagine them. This PV takes those lyrics and takes that thought, and moves it to one guy’s room. Now, he’s fantasizing about the girl(s) (he’s totally Yukirin oshi) in his poster, but then we move to the posters. As we would expect from this being a PV, the girls sing and dance like usual. However, we sometimes see through to the other side of the room from in the poster, to see that it is really a poster, to remind us of what we’re watching. Furthermore, whenever the girls sing and dance around the room, the posters are blank, so we know that this is about the girls of the posters. There’s more to it, though; one of the things that I liked a lot about the PV originally were the different angles that we see the girls at in the dance shot. However, the camera rarely moves during the dance shot; it moves once or twice panning the girls. But the thing I realized is that the angles that we see the girls in the dance shot, the unmoving shots, are really the angles that might be in a poster, further cementing this. The other parts of the PV are close up shots and the girls dancing in the guy’s room. However, during the close up shots, nearly everything that the girls do is straight up posing in ways that would be seen on a poster. They only move freely in the guy’s room when the fantasy is at its peak. When the fantasy is confined to the posters, every move is a cute pose, reminding us that these girls are just on the poster and not in reality. First off, if you haven’t seen the extended version, do so now. You’ll be glad you did. Sorry I can’t embed it! This is gold. It’s set up like a cheesy old-fashioned sitcom, with the introduction at the beginning and a laugh track and cheesy music. The story is an obvious Grease parallel… only that there’s a relationship between a girl named Sandy (Kanako) and Danny (Akari). Two newsies are there to get them together (Shiori and Momoka), I guess? Also, Danny is a super amazing bowler, so that’s important for the music part of the PV. However, Leader (Ayaka) wants Sandy too, with Reni as her assistant. In the drama part of the PV, I have to say that I love Ayaka and Reni’s part the best. Ayaka’s deep gangster voice and Reni figuring stuff out by going “give me chappa chappa etc.” is just amazing and hilarious. They kidnap Kanako by going “It’s a UFO” and pointing. I love all MomoClo PVs dearly, but I had to pick this one because it has the most hilarious plot of all of them. The girls know how to ham it up in these roles and it’s just funny because it doesn’t begin to treat itself seriously. These girls are also really great dancers and performers and that in itself makes it really fun. The comics-style effects are also really fun, and the break where they actually have the bowling game over Kanako’s heart is just super fun to watch. Not putting Ikuze Kaitou Shoujo, D’ no Junjou and Pinky Jones on this list was super hard, but just by PVs Mirai Bowl never stops being really fun. It’s one of those PVs that seems like it must have had a fairly small budget, but made the most of whatever budget it had and then some. No matter how high or low MomoClo’s budget is, they totally make up for it and then some. Yes, I picked the suicide PV. Keibetsu never fails to make me emotional and cry. You just feel the hopelessness of the girls throughout the PV, and the images of Yuko going to commit suicide are just heartbreaking. This PV, even though it was in AKB’s early years, has a lot of depth and maturity to it. The way they act, when you see Sae leave the school because of bullying, leaving Yuko alone, you feel like there’s more to it than just what you see in the PV. The color scheme is also dark, fitting in with the rest of the PV, and the looks of the girls at the end, almost going “You know what you did” just never fail to be haunting. I know people who miss AKB48 from when they were less popular because of stuff like this, and I honestly don’t blame them. I love the current happy idol music that AKB and co do, but songs and PVs like Keibetsu Shiteita Aijou are certainly missed in the current lineup. I love this PV so much, you guys have no idea. On the one hand I really really like C-ute from a visual standpoint (if that makes any sense) because I love how they dance and perform with such energy. This is super apparent here in the dance shots, close up and other shots, where C-ute is in high form, doing very well. The reason that Meguru Koi no Kisetsu is on my list and not any of the other C-ute PVs, however, is that this is a perfect example of how a budget isn’t anything. This PV doesn’t look like it cost much of anything; a few backdrops, a few props, nothing radical that would cost a lot of money. However, the seamless way they move between all the backdrops and use them creatively is really something. 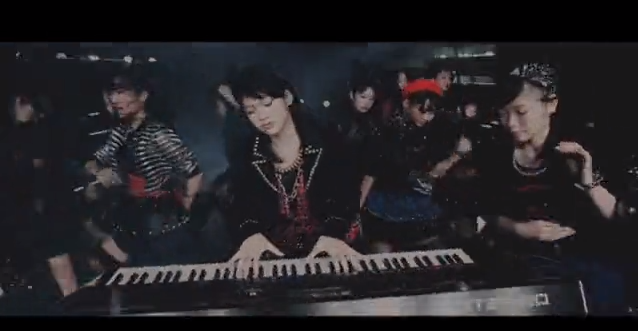 I’ve seen a lot of people complain about the budget in H!P videos, when this PV would seriously counter that. PVs are a lot more interesting when they take whatever budget they have and use it creatively, like they did here. This PV is fun, really enjoyable, and overall really well done. Guys. I love Watarirouka Hashiritai. So much. This is probably my most subjective pick on the list, but I don’t even care because I love it. The whole PV is like a drama; I can imagine that this is some romcom drama about five girls with their own problems and relationships and it’ll be one of those things where they all bond over their relationship troubles and stuff. This is something I want. Harugon (Nakagawa Haruka) doesn’t have any relationship issue. She and her “boyfriend” (which is one of the MSN messenger “people”; was this sponsored by MSN?) are all happy and in love. Good for her, I guess. Lovetan (Oota Aika) has an unattentive boyfriend who flirts with other girls and not her, even though she’s the girlfriend. This is where you have to suspend disbelief in the PV, because who would choose other girls when there’s Lovetan. Though her slap is kind of my favorite moment ever in any PV. When this came out I watched that slap about 10 times in a row. Nacchan (Hirajima Natsumi) is basically playing me, because she has a thing for her teacher. In the PV she hugs her teacher in what could potentially become harassment? Teaching the English word for hug, yeah right. And the whole classroom claps, which makes me think that the classroom is writing Nacchan/teacher fanfiction. Ayarin (Kikuchi Ayaka) gets confessed to by a guy but then turns him down. Which makes me believe that this is the final test after her scandal; if she decided to get with the guy then she’s gone for good. But yay, Ayarin stays. Mayuyu (Watanabe Mayu)… runs? Mayu, running isn’t acting, oh wait, for you it is, OK. I’ve heard theories that she’s romantically involved with another girl because they take Purikura together with some other girl (which is usually just with girls) and I like this theory a lot. This is a fun PV with a fun story and it’s about hugging. I love hugs. So, it’s a favorite. The rest of the list is in no particular order, but this is my #1 favorite PV ever. I think it’s ridiculously well-crafted, creative and beautiful. The way that they use a continuous shot through all the beautiful sets is really well done. If you watch the PV making of it isn’t editing trickery or whatever; they really did do most of the filming in one fell swoop, with Aya running around the backs of sets to get where she needs to be. It reminds me a bit of one of the scenes of Eternal Sunshine of the Spotless Mind that involved the main actors running around the backs of sets to get places. 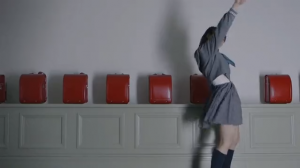 If I think “Oh, maybe Michel Gondry directed this PV?” then you KNOW it’s a great PV. It’s not only doing the continuous effect, but it also has really gorgeous sets; I particularly like the one with the clocks. It has a twinge of a surreal feel, too, since you see the way it gets to all the different sets that are clearly fabricated. Still it’s gorgeous and I love it. A very subjective list (that took forever to write), but there you have it! Happy 100 posts, Happy Disco!!! Day 24: An Idol that is not one of your favorites but you admit that they’re good. For my idol fandom, I have a tendency to pick favorites. And by favorites, I mean the #1 favorite idol that will rule all the other idols in my idol rankings, but I tend to do that by group. For example, Ishikawa Rika is miles above any other Morning Musume member ever. It’s been changing a bit lately (in AKB48 fandom I love Oota Aika most, but Natori Wakana and Iwasa Misaki are pretty close, too), but I still do that. Furthermore, after the favorites then everyone tends to be pretty similarly ranked. For AKB48, I can do my top 10 members, but I can’t rank all of them simply because I like all of them and don’t want to put any one on the bottom. So here, I have a lot of idols that aren’t my favorites, but I like all of them. So how do I pick among the myriad of idols? I have one cop-out answer and one real answer to this question, so I’ll share both. SKE48 as a whole is my cop-out answer. The reason is that I love AKB48, and I follow them more than SKE48 or any of the xxx48 groups. However, I really like whatever I see of the members in SKE48. They all have nice personalities and in my opinion they’re a much stronger group than AKB48 at least in terms of dancing. 1!2!3!4! Yoroshiku is one of my favorite PVs, and I love every bit of music I hear from them. Yet, for whatever reason, I follow AKB48 more. Maybe it’s part of the popularity thing, but if that was the case I couldn’t have Momoiro Clover as my chosen favorite idol group. So while I don’t know most of the girls in SKE48 (my favorites are Yagami Kumi and Matsui Jurina, two front girls), I really should follow them more, because SKE is quite a strong group in their own right. However, since choosing a group for a singular idol might be considered cheating, I chose one. Airi, if your jersey is referring to Rose Tyler from Doctor Who, we need to seriously be besties. Even though my Hello!Project fandom is really being superseded by groups like Momoiro Clover and AKB48, I still follow all the groups somewhat, and I try to follow C-ute a lot. I’m mainly a fan of Yajima Maimi and Nakajima Saki when I follow C-ute and Hello!Project. HOWEVER, for the life of me I don’t know why I don’t follow Airi more. I mean, she’s great; she seems like she has a sweet personality, she’s cute, she’s a good performer and singer. Honestly, even though I want Maimi and Nakky to get the most screentime because they’re my favorites and my biases, I’m really fine with Airi being the C-ute front girl and have no problems with that at all. Recently on Hello!Online I said that the new Buono song needs more Airi, even though she has more lines than either Momoko or Miyabi, and I meant it. I quire like Airi, and approve of her hoarding lines. My posts for this haven’t been super consistent, though to be fair to me I’m having a blast at CONvergence, the biggest (??) sci-fi convention in Minnesota. It’s super fun! And yes, I do have fandoms that aren’t idol related. Any other Doctor Who fans around here? Day 16: Your favorite Idol from a group not listed above. When I saw this question I was originally in a rut as to how to answer it. Could I do H!P, since I haven’t mentioned Yajima Maimi, who I adore? But I’ve already done H!P, should I do Super Girls or PASSPO? I know NOTHING about PASSPO (though the songs I’ve heard are pretty solid), and I like Super Girls’s MAX Otome Gokoro, and two of the members (Reira and Kaede), but I don’t know that much about them. So I picked Kuumin, Yagami Kumi, from SKE48. It’s technically not AKB48, and I really love Kuumin’s interesting personality (Nya~han! ), her dance skills (in general, SKE48 is the superior dance group to AKB), and her voice. She tends to sing cutsier songs (Wimbledon e Tsurettette and Ookami to Pride), but I like her voice a lot! So even though her closeness to AKB48 might make her a bit of a copout… I don’t care at all. Yagami Kumi is amazing! Previous Posts. You want to read them. Want to find something really specific?